This Gaiwan meets the basic requirements for a new tea lover and on the basis of practicality the appearance is very simple, which can be matched with various tea banquets, tea tables and tea rooms. This is Teavivre’s first Gaiwan without saucer, which may make many tea lovers confused. 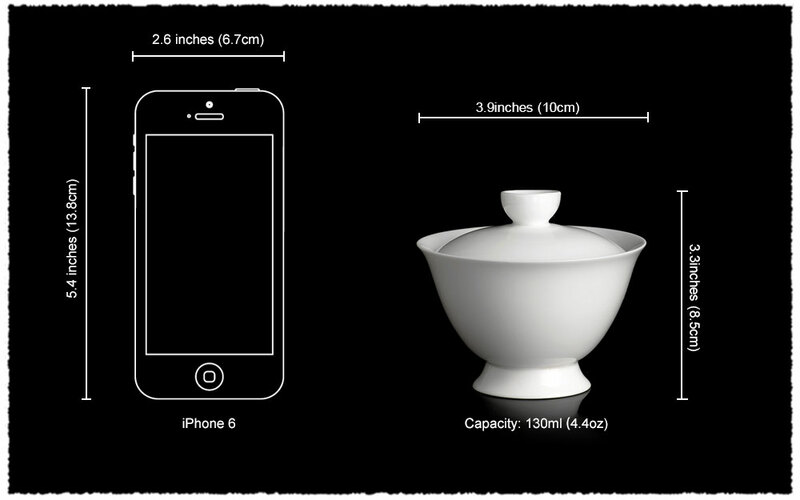 Actually, when the Gaiwan was originally designed, there was no saucer. Afterwards, the reason why the Gaiwan has a saucer is that it will be hot when we directly use it to drink tea, so a saucer is designed to insulate the high temperature. It is very convenient to use with saucer and becomes popular among tea lovers, at last, the Gaiwan is named as “San Can Cup”. This Gaiwan is without saucer, but the bottom is taller than other Gaiwan. It is more simply to use. Nowadays, we directly use the Gaiwan to brew tea and seldom use it like the tea mug, so the saucer is not essential. Next, when we brew tea, the Gaiwan is usually put on the tea tray, Cha Cheng (also Hu Cheng) or tea boat. Besides collecting the spilled tea liquid, the most important character is beautiful. If you buy a Gaiwan without saucer, you can use your imagination and take a pure white porcelain plate, an antique wood, a strange stone and etc as your tea boat to match your tea room or tea table, interesting and meaningful. Located in Fujian province, Dehua County enjoys great reputation for ceramic and porcelain production. White porcelain made from Dehua has bright and pure white color with great light transmission. The ivory white and Chinese white have been well known both in home and abroad since Ming and Qing dynasty. He Zongchao, Lin Chaojing and Zhang Shoushan, etc were the most famous ceramic artists in Ming dynasty.